To sum up the events of the past few days: China declared an air defense zone that overlaps Japan’s as well as South Korea’s. The United States flew a B-52 through it, just to show that it could. The Chinese were muted in response, but analysts all over are worried about escalation. Someone dumb could shoot down someone else and perhaps cause something bigger. We should be worried, but not too worried. The Senaku Islands (or Diaoyo to the Chinese) are not worth fighting a big war with multiple powers. But they can be used by insecure leaders to try to shore up their shrinking power bases. Unfortunately, China’s leaders are looking down that barrel right now. China is in more trouble than it looks. It’s economic miracle is coming to a close, and China is not a middle-class country yet that can absorb the social shock of dashed dreams. This is a recipe for disaster. 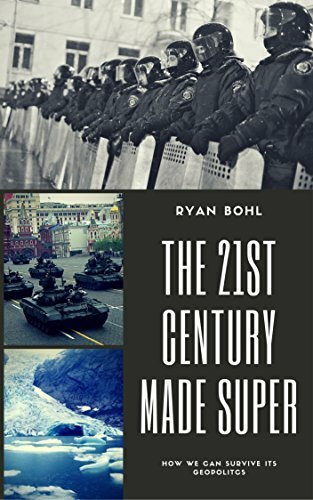 During the Cold War, China was the weaker younger brother of the Soviet Union. No more. Russia is now sliding into oblivion while China has gone from strength to strength. Chinese leaders feel they now have the power to challenge the United States’ on issues of vital interest. Unfortunately, the security problems of the Far East haven’t been sorted the way most of Europe’s have. China’s maritime borders aren’t completely decided yet. China’s still got several real grievances with Japan following World War II (the Japanese really haven’t helped themselves much here). Not all one big happy family. With China’s rising military might, it can now afford to challenge other powers in the region to alter conditions more favorable to it. China is a modern nation-state with one major flaw – it’s borders are based upon an imperial state. There are a variety of nations within it that, in one form or another, agitate for self-determination. China now has more power than ever before and can afford to quell these nationalist revolts. But they must also ensure outsiders don’t interfere. Keeping foreigners’ eyes on relatively useless things – like the new defense zone – means they can continue to colonize their rebellious provinces with nary a peep. If prediction turns to fact and China’s economic miracle does end, everyone should be worried. Chinese leaders won’t be able to control the economy like they used to, but their citizens – including their base – will not be forgiving. Having lost that power, Chinese leaders will be tempted to do what all weakened governments do – distract. Most governments do this by picking fights abroad and looking tough. Unfortunately, all of China’s neighbors are rightly worried about Chinese ambitions, and many of them are U.S. allies under its nuclear umbrella. So China’s options are limited unless their leadership starts to lose control to unrest. The more unrest within China, the greater the potential China does choose a war as a way to save the regime. The only time nuclear powers ever directly fought one another was in 1969 on the Soviet-Chinese border. But both sides refused to escalate – one, because the territory was relatively worthless and two, because they understood a nuclear exchange was out of the question. Only a rogue general could think that attacking neighbors with nuclear weapons was a good idea, and such circumstances could only occur in a full-blown anarchic civil war, which isn’t in the cards right now. 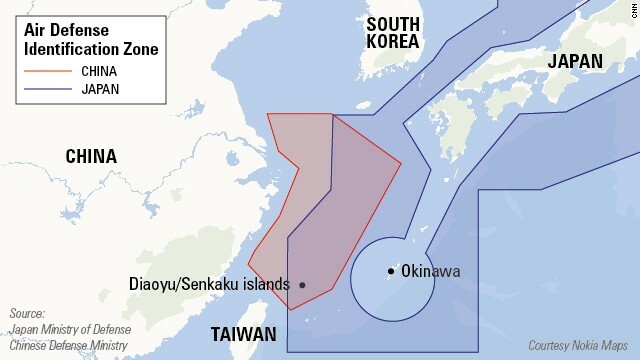 So China won’t go to war to defend this air defense zone and certainly will avoid losing a naval war against the United States. The U.S. sees China as a rising threat that must be contained until it can be co-opted. Key to this strategy are the militaries of Japan, South Korea, and Taiwan. All are advanced economies; one of them was once a formidable adversary. In the next decade, they will shoulder a greater and greater burden against China, with the U.S. in support mode. The U.S. will need to continue to thumb its nose at Chinese pretensions from time to time, understanding that such moves won’t lead to an open war, if it wants to preserve its power in the Pacific. Its allies, after all, will need reassurance regularly that the U.S. will stick around for any fight. China may slowly reform into a democratic regime (though signs of that are nearly impossible to see), and if it did, the U.S. would no longer see it as a threat to its interests. (Democratic governments, after all, have all the incentive in the world to avoid going to war against other democracies). But that can’t be counted on and can’t be planned for. Instead, the U.S. will have to maintain its naval superiority against China and boost the regional navies of its allies. It will mean the end of the post-war balance that’s kept mighty Japan on the defensive. …things get messy and the potential for violence is high. Nuclear weapons should keep the U.S. and China from ever fighting one another over something this simple. But history shows that great powers that seek dominance don’t always understand the consequences of their actions. Let’s hope that China’s learned the lesson of history.